Aikatsu Friends! – 017 | Mezashite! Have you ever met a Lunarian before? I didn’t know they would be so adorable. There are some rather poetic lines this episode; I wonder if you’ll notice them before I was able to. Thanks, was looking forward to this one! At 7:42, “Sakura” instead of “Sakuya”? I was waiting to make this mistake. I just thought it would be be Shirayuki or Shiratori instead of Shirayuri. It’s been 4 years, old friend. You changed a lot. Pretty good stuff overall, and the song was excellent. As always, thank you so much for the love-filled labor! Looking forward to to more Honey Cat next week. This series never disappoints with its gothic characters. Yurika-sama, Sumire, Lily, and now Sakuya. That song was every bit as beautiful as I hoped it would be. It’s like the top layer lost about 25% of its characters and then centred itself over the unchanged bottom layer… really weird! 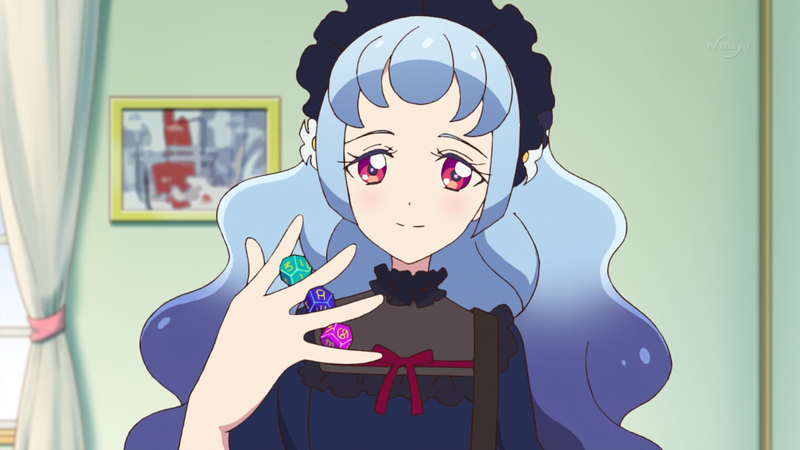 Thank you all so much for subbing Aikatsu Friends, I’ve been loving the show so much!